After careful deliberation and much thought, I’ve decided to vote Democrat. And just in case you didn’t know from other thoughts/posts on this website, that’s a joke, I’ve always been a Democrat. Actually, when I was young I liked to think of myself as an independent, as someone who would vote for the best candidate regardless of party. But I soon realized that I couldn’t vote in primaries that way, at least not without much rigmarole, and really, who was I kidding, I was never going to vote Republican. I began to understand that the Democrats were my party, at least in big elections, that they aligned with my ideals, that they were the people I wanted in charge. So, yes, as much as my parents never wanted me to be and as much as I’ve skewed from my hometown demographic, I’m a big, tree-hugging liberal, and was always going to be voting for the Democratic candidate for President in the upcoming election. But this post isn’t about that, not really, it’s about who specifically I will be voting for and why. My endorsement, if you will, though my opinion holds no sway over …anything …and with the knowledge that my individual vote counts for absolutely nothing this November. Not only do I represent a miniscule number but then there’s the whole electoral college process, which basically nullifies my importance, unless, and in theory, I could get a large number to change their minds and/or get off their asses & vote my way. I don’t have that sort of clout, nor am I going out door-to-door, so let’s just say that this endorsement is rather meaningless and I know that, but I’m writing it anyway. For fun, for posterity, to make it official, who knows, but here it goes. I’m with her. And just in case you don’t know what that means, though I assume you do, I’ll be voting for Hillary Clinton to become the next President of the United States. Just to be fair, she isn’t my first choice. I actually have more in common with the Green Party than with any other group, though as of right now they’re too small to matter. I’d vote for Jill Stein were that a viable possibility, if just to get that Party some traction and to get some of those ideas into motion. But, alas, our country isn’t ready for that right now, so I’ll be a closet Green and just vote Democrat. Now Bernie, he & his “revolution” had a chance to become something more than just a sideshow. The word socialism scares some people, but those people forget that we’re already half-socialist anyway, with social programs the backbone of our daily lives. We’re also a democracy, which Bernie wouldn’t have been doing away with, he’d just have been attempting to put the emphasis back on caring rather than on capitalism, but this democracy seems to have spoken & it looks like we’re not ready to feel the Bern quite yet either. No, as a liberal I’m left with only one option and that’s Hillary. I’ll steer clear of talking about Donald Trump too much since he’s been discussed ad nauseam, but let’s just say I wouldn’t vote for him were he the last man on Earth. Obviously I’d vote for myself, and in that hypothetical case he wouldn’t be the last man since I’d be around too, but I digress. I might have picked him over Ted Cruz were I forced to choose, but there’s basically no other way I’d vote for a guy who’s decided so firmly never to be politically correct that he’s apparently avoiding being generally correct as well, just to be safe. He says what he wants, whether it’s true or not, whether it’s insulting or not, with the frightening addendum that a large of number of people find that something they want in a President. Count me out of that group, I want my figurehead to be as steady as possible, not one racial remark away from successfully stereotyping every group in the country. 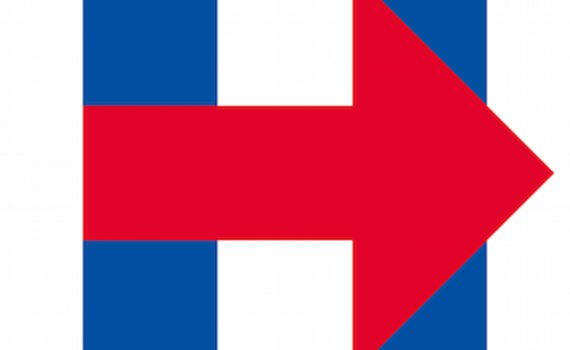 Which brings me back to Hillary, in a roundabout & hesitant way, I must admit, but back to her nonetheless. I’m never going to become excited about my decision to vote for someone who, frankly, rubs me the wrong way. I’ve attempted to understand whether that’s because I was raised by Republicans and she represents the absolute antithesis of what I was supposed to respect. Or because she’s a strong woman and I’m secretly a sexist whose own power feels threatened. Or perhaps because I’m sick of American politics and was actually hopeful that Obama’s election would guide us down a pleasantly divergent path, something that never quite happened the way I imagined that it could. Whatever the reason, I can’t quite shake the fact that I don’t like, at the most basic level, the person I’m hoping will represent me to the world. I could care less about Benghazi, about e-mails, about her philandering husband; politicians are crooked, I’ve accepted that, hell I was fully behind John Edwards despite everything he was up to. These are the leaders we’ve chosen, power corrupts, and absolute power corrupts absolutely, so it’s no surprise that professional, life-long politicians get burned; they play with fire every day. What I want is an intelligent leader who has embraced the monster, tries to steer it in the best direction possible, and actually cares a little about avoiding running over the masses along the way. That’s Hillary in a nutshell, which is why I’m not ashamed to say that I’ll be voting for her, despite my lack of enthusiasm in the endeavor. She’s strong & outspoken; something we adore in men but can’t stand in women. She’s been fire-tested and survived to tell the tale; what else could possibly be thrown at her that she couldn’t bat away? She legitimately cares about who gets a piece of the pie we all want a bite out of; minorities, women, the poor, the disadvantaged, those we can’t always help themselves whether because of their history or the system. She’s smart & experienced in the ways of government, and from different angles, putting to shame anyone who wants to compare their track record with hers. She’s a good face & voice for our nation, showing the world that we treat the idea of equality as a reality, that we speak our minds clearly & respectfully, but never nervously or insultingly. She stands for what I believe in; social justice for all, shared opportunities regardless of wealth, a government independent of religious control. For these reason & many others, and even not being able to put all caveats aside, I’ll be voting for Hillary Clinton for President. I am, officially, with her.